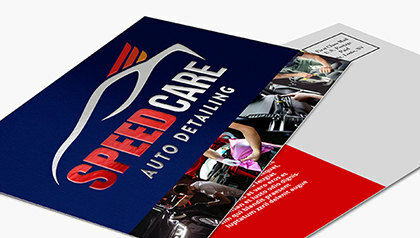 Postcards are an easy, affordable, and versatile way to reach your customers and prospects. Use them to generate leads, close sales, cultivate return business, or promote new products and services. Hit your target market only, since you are sending them directly to your prospects. Easily track results. You can put instructions on the card to get recipients into your store for special discounts or promos. Or add a special code that they can redeem online. Are time-savers. Recipients can quickly get to your message without opening an envelope. Are easy to carry around. Their compact size fits right in your back pocket or purse! 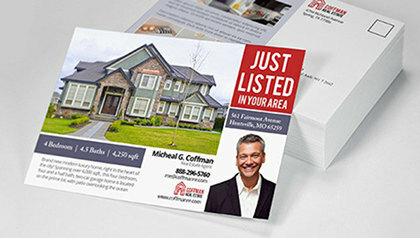 At PrintRunner, we offer postcard printing in various sizes ranging from the standard 4” x 6” to as large as 8.5” x 11”. With high-quality paper stocks from the 14 pt. uncoated cardstock to 16 pt. glossy cardstock to 13 pt. matte recycled cardstock, you’re sure to find the right stock for your application. Spot UV Postcards allow you to highlight important details that you want to communicate to your recipients. 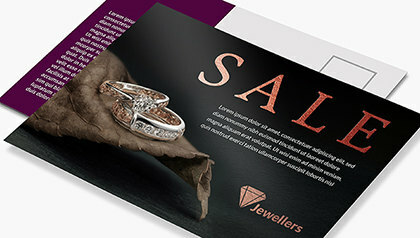 Raised Spot UV Postcards feature a high gloss finish that adds more shine and gives a tactile feel. This makes your postcards more visible and interesting amongst the sea of mail. 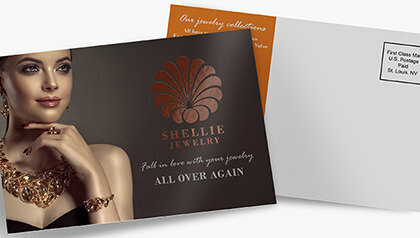 Metallic Postcards glam up your marketing and set the tone for your brand or organization. Silk Postcards take your message to the next level.The silky smooth texture adds elegance. Velvet Postcards give a royal, luxurious feel to your message and brand. Start printing custom postcards today. If you need help with your design or how to upload it, or if you have any questions, feel free to call us anytime for your postcard printing needs.